NOTE: This function stops reading the string when it finds first non-numeric charater. Blank spaces are not considered as non-numeric character. 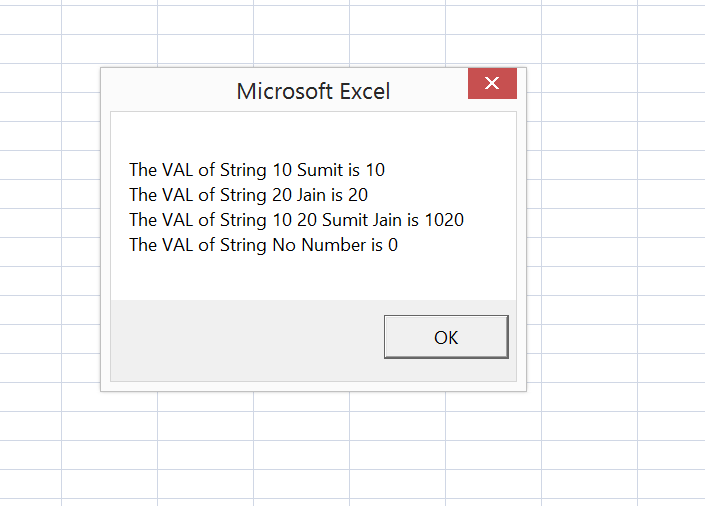 String from which the number needs to be extracted. val3 = "10 20 Sumit Jain"
216 queries in 0.092 seconds.